Perfect to entertain kids over the Easter break, this pocket-sized coloring book is filled with decorative eggs, spring flowers, fluffy bunnies, chicks and other cute animals. 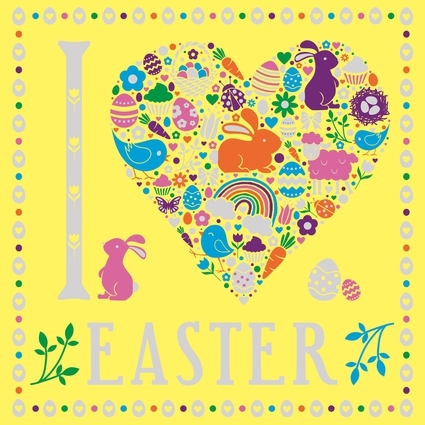 With a pretty foiled cover, I Heart Easter is sure to be an egg-citing gift. Jessie Eckel is the illustrator of Doodle Dolls, as well as The Boys' Coloring Book and The Girls' Coloring Book.